Other photos: 2004 Sea Ray 550 Sundancer - Strbrd Profile, 2004 Sea Ray 550 Sundancer - Bow, Aft Exterior, Strbrd Profile, Looking Aft, New Eisenglass, Hard Top w/ Electronics, Spacious Cockpit, Cockpit, Cockpit, Cockpit, Cockpit Lounge, Cockpit WetBar, Cockpit WetBar, Cockpit Refrigerator + IceMaker, Helm Area, Helm Station, Garmin 5212 + RL80C, Steering Wheel, Auto Pilot, Sea Ray Systems Monitor, Bow Thruster, Electric Controls, Electric Controls, Electric Controls, Salon Looking Forward, Salon Port Settee, Convertible Bed, Galley - Refrigerator, Wine Cooler, Salon FlatScreen TV, Galley, Microwave + Coffee Maker, Stove Top, Galley Sink, Washer / Dryer Combo, Salon - Storage, Salon - Skylight, Bose Speakers, Master SR, Master SR - Sky Light, Master SR - FlatScreen TV, Master Head, Master Head, Master Shower, Master Shower, VIP SR, VIP SR - TV, VIP Head, VIP Head, VIP Head, VIP Shower, VIP Shower, Electric Controls, Electric Controls, Engine Room, Engine Room, Engine Room, Generator. 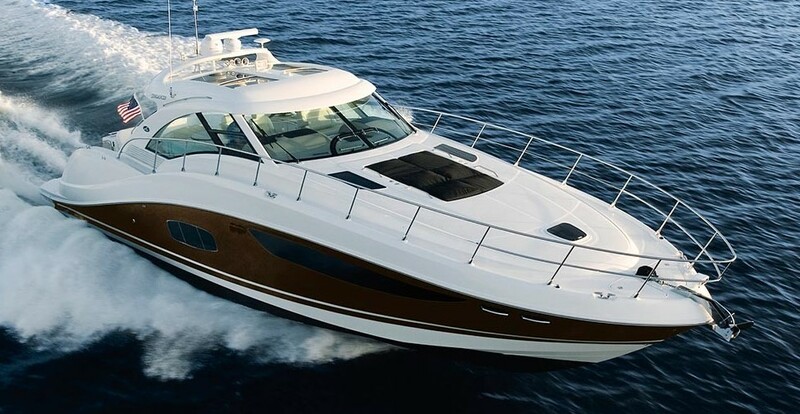 The Sea Ray 550 Sundancer is truly in a class of its own, timeless styling and powerful performance makes this express one of the most sought after on the market. "Quick Decision" is owned and maintained by an experience and meticulous owner who has kept her in ready to cruise status. The vessel has a long list of factory options including: MAN 2848 LE4 engines with 730 hrs, Cherry Ultrawood Cabinetry, Captain Navy Canvas, Hydraulic Swim Platform, DSS Satellite System, Washer/Dryer Combo, Raymarine and Garmin Electronics Package and so much more.